It was trying to be a fairly nice day today. Our spring is slow to start. I waited for the showers to pass and took a bike ride to Simply Biscotti on Preston St. Three years ago I began a project to eat my way through their delectables counter. I just re-read my first blog where I said my knowledge of blogging and waistline would grow together. I have achieved the latter. 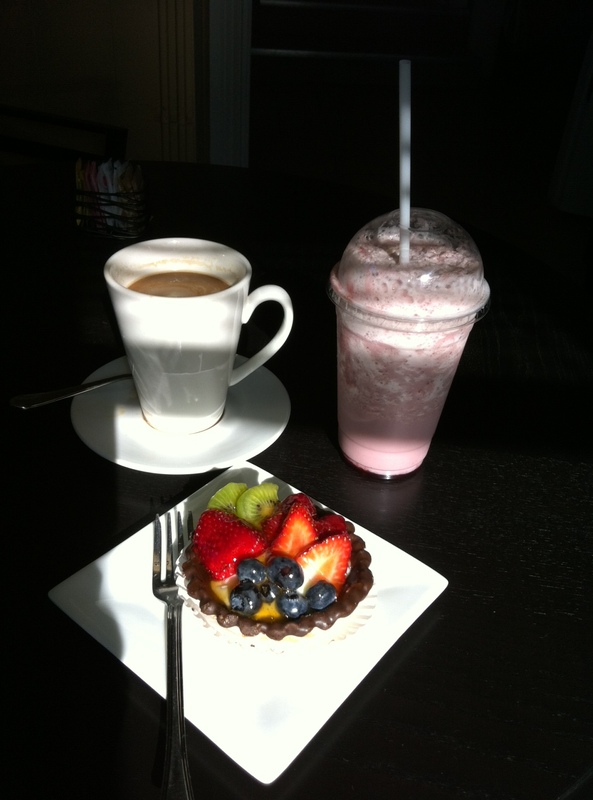 While I’ve been there for coffee over the past months, I haven’t always indulged in a treat. Today, I had a coffee and a little visit with Rosa, the owner. 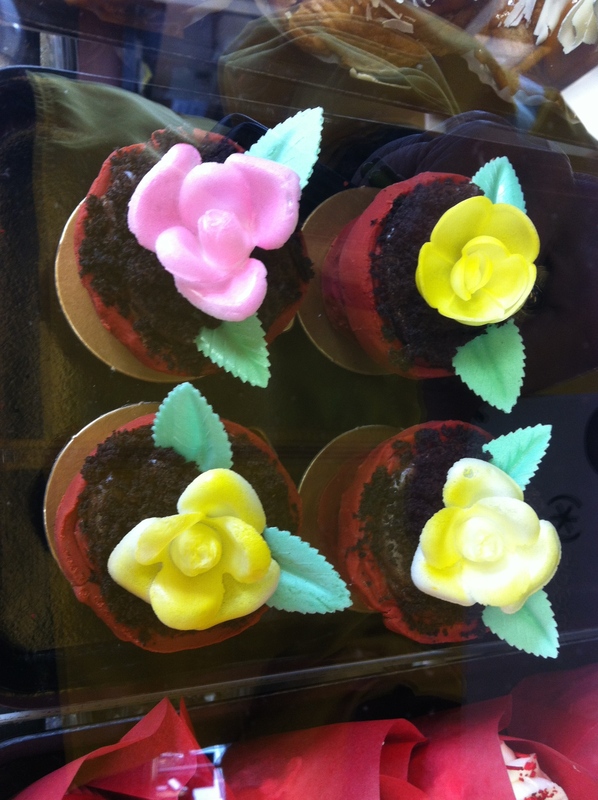 While I didn’t eat I did take a few pictures and think the little flower pots made of fondant with wafer flowers on top look worth a go. Anyone out there want to join me for a little flower pot treat sometime soon? We are living in the dead of winter in these parts. While there are parts of Canada that get much colder than here, we end up defaulting to how cold it is here compared to the seasonal average as reported by Environment Canada. I sound very much like the elder when I say “Cold! You don’t know cold! Why, where I grew up it was so cold that we had to chip the ice off the water in the wash basin!” An exaggeration, but you know how it goes. 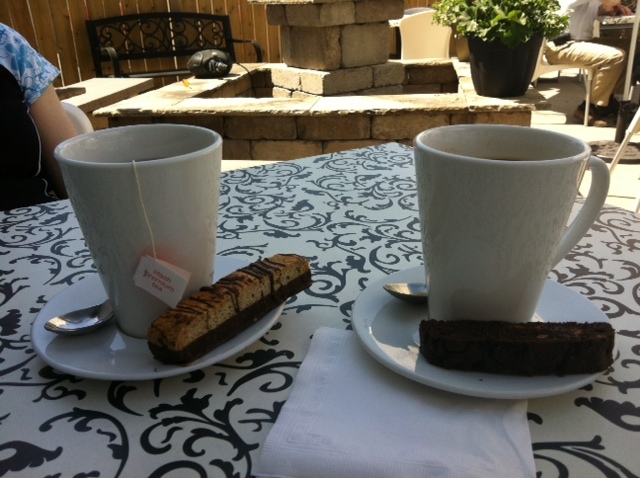 What better way to put in a sunny cold afternoon than to connect with a friend over a large mug of tea and a couple of Simple Biscotti treats. 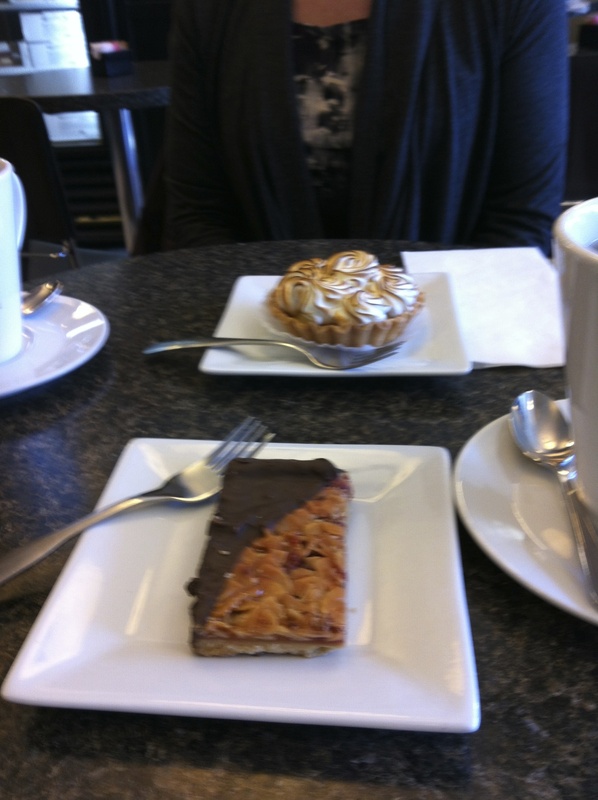 In the background is a lemon custard tart with meringue topping. It looked very pretty. 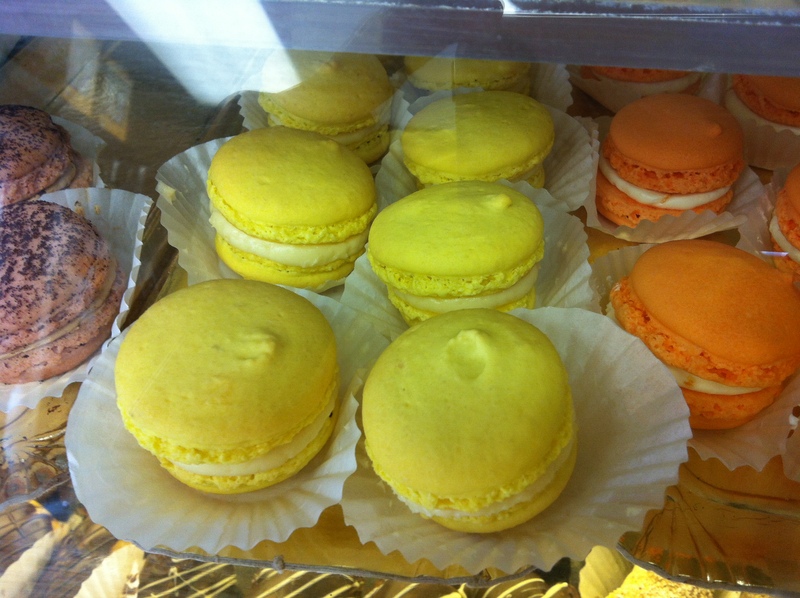 The lemon custard filling was different. My friend had thought it would be the traditional lemon pie filling. In the foreground an almond chocolate bar with shortbread crust. There was some raspberry in the topping as well. The “after” picture would show two empty plates. Apology for the somewhat fuzzy picture. User error. I have been trying to cut back on sugar over the last while. Perhaps that is what made me think that both desserts were very sweet. The same word can be used to describe a visit with a friend on a cold afternoon. Sweet. If I’m going for something less sweet, perhaps I should try a biscotti. After all, that’s the name of the place. Do you have an activity that helps you through the dead of winter? One of my friends uses the phrase “there is a truth” to preface some of his remarks. It’s an unusual phrase. I imagine the idea is to add credibility to what comes next. It’s never been clear to me if it’s a “truth” known world-wide or just in his mind. Here’s my go then, at ‘there is a truth’, about this blog (the year-end stats WordPress provides follows below if you are at all interested). I will try to be as objective as I can about the whole thing. 55 posts in 2012-not exactly a house on fire. The first year was only 8 months and there were 53 posts in that time. I seem to be flagging. Question: if you read this blog routinely, is its regularity (or lack thereof) an issue for you? People who blog daily must be very organized or full of ideas and it seems I am neither. 5800 views in 2012-not exactly viral. Now, my husband once teased that most of those views are mine but I know someone else is reading the blog because I hear from you and I thank you. Question: what is your taste in blogs? Is it certain topics or bloggers, controversy, photos, hobbies? 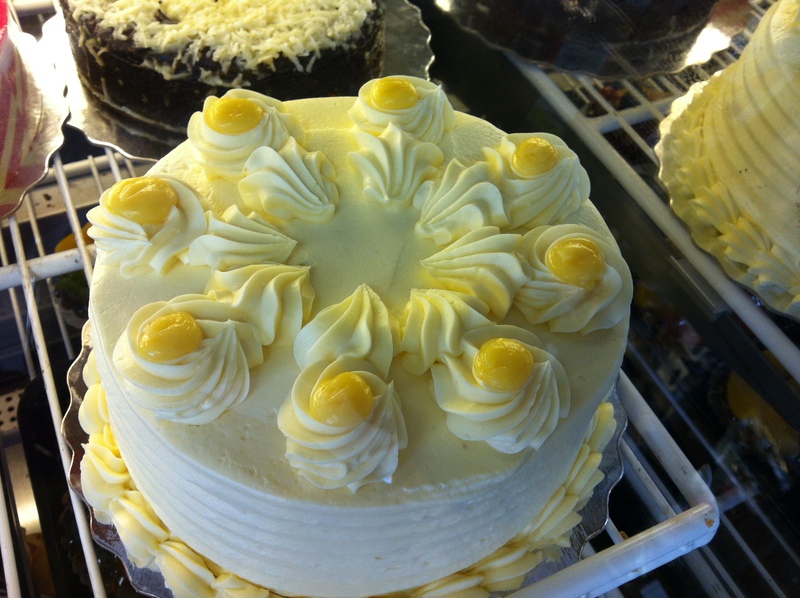 The quest to eat my way through the counter at Simply Biscotti (the reason for this blog at the onset) is moving at a slow pace. Not because it isn’t enjoyable, it’s just there have been many other things to keep my days occupied. 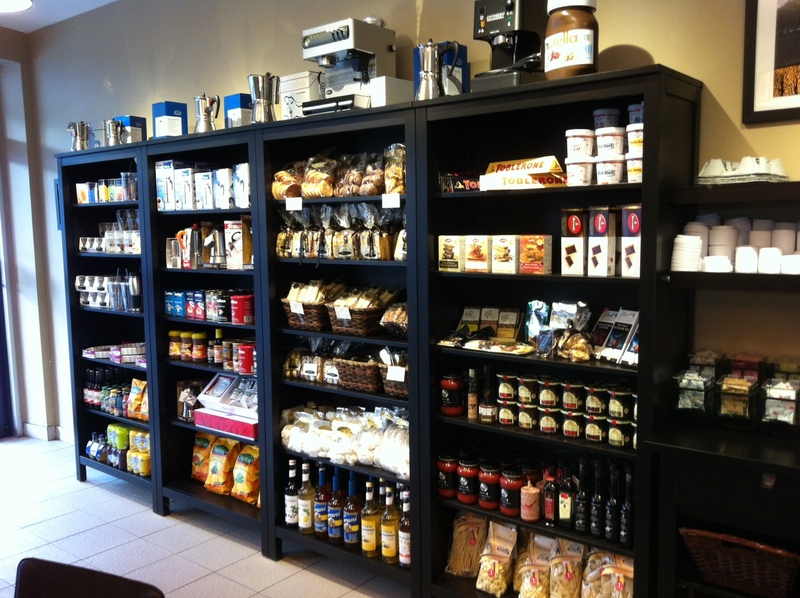 Question: if you live in Ottawa, have you visited Simply Biscotti? I’ve visited the bistro with a number of friends-from in town and out-of-town and I’ve had some great visits with Rosa, the owner as a result of this blog. That’s a plus and a good reason to keep up the quest. The most views of the blog in 2012 was about my friend Ella. The title was Ella’s Tree. Randy Bachman brings more people to my blog site than any other search. Now, there’s some humour in that, isn’t there? People are interested in Mr. Bachman’s marital status. I noticed hits on the topic shortly after I did a blog about seeing him at a book launch. And people keep asking the question about whether he is separated. There’s no search on our garden bounty this year or many other topics that have struck me as blog worthy but lots of queries about a rock legend. Question: Should I start writing about public figures and not expound on the value of horse manure in taking little things and growing them into big things. Oh, wait, they may be the same thing! And so to those of you who are good enough to read this blog regularly or sporadically, thank you. I always appreciate feedback, whether a comment on the blog or by email. Any comments or suggestions you have for me are most welcome. I wish you all the best in 2013. We have had a member of our family visiting from the UK for the past while. She is part of our family in every way except for that small matter of being part of the family tree. A mere detail, we say. On one sunny morning a few days ago we trekked off to Simply Biscotti (the place that originally spawned the reason behind this blog) on Preston St. in Ottawa. Lyn was interested in seeing the spot that has been written up some here. It was a great way to start a day. Good for the soul. 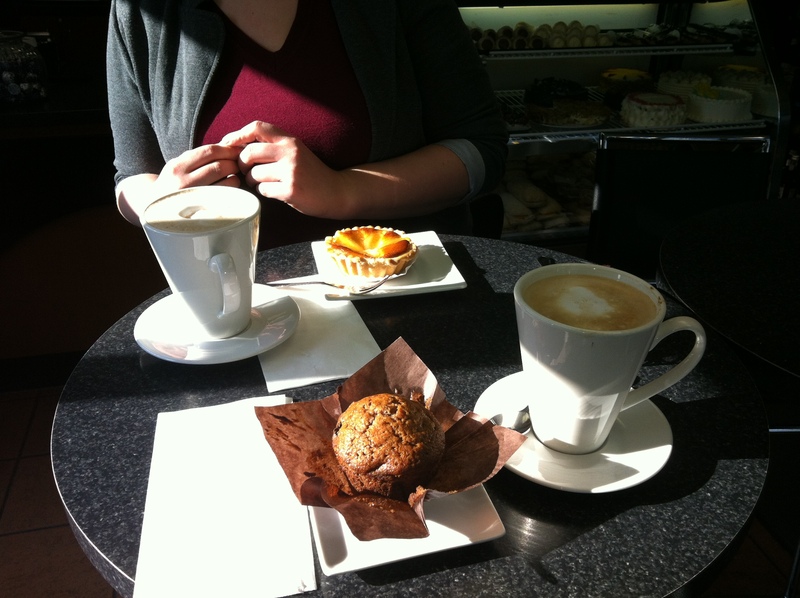 We enjoyed lattes, a morning-glory muffin and an almond tart with raspberry filling. We’d recommend any and all of them. I heard an interview with Paul Henderson yesterday. He’s the hockey player that scored famously during the Russia-Canada hockey series oh so many years ago. If you are a hockey fan, you’ll know all the details. Paul spoke of, despite his notoriety, he feeling empty and unhappy. He ultimately found what matters in life are relationships. I don’t know hockey, but I am firmly convinced that when all is said is done, Paul has got it right. It is family and it is relationships that give meaning to life. (supplemented by the odd trip to Simply Biscotti). What do you think? The summer seemed to stretch out so nicely but now as it draws to a close, it seems the season went by quickly. I hadn’t been to Simply Biscotti for quite a while and since that’s the reason this blog got started in the first place, the trip was overdue. 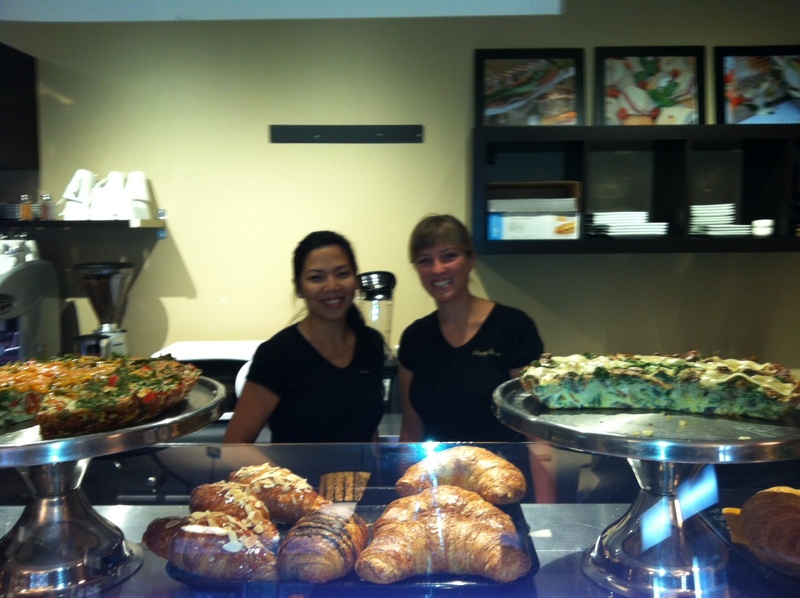 Rosa, the proprietor, opened a second Simply Biscotti location in the Westboro area of Ottawa this summer. I visited the new Simply Biscotti location a week ago and in the days since I have been to one location or another a total of four times! Each time I enjoyed Simply Biscotti with someone else, with Rosa, the owner, with a friend, with my husband and with a family member from Saskatchewan. Adding to my quest of eating my way through the showcase, I have now tried an apple muffin (moist, flavourful) and a ginger biscotti (never had one of those before and had thought there might be a stronger ginger flavour). Once I get started, it seems I can’t stop. Rosa talks about her shops and how she and her team work hard to make things look and taste great. She’s a great local success story. She establishes her shops in places where people have other choices for food and drink and it seems many of those customers prefer Simply Biscotti to the chain outlets. She now offers employment to over 20 people in Ottawa. Rosa has been nominated for an Immigrant Entrepreneur Award. I look around the shop and think she had to make all the decisions. Lots of responsibility. She’s proud of what’s been accomplished and so she should be. As they say these days. You Go Girl! Yesterday as I entered the shop I held the door for a man as he exited, hands full with coffee and a treat. After a thanks, he said “Go on in, there’s good stuff in there”. I haven’t visited Simply Biscotti every week as I’d planned when I left full-time work just over a year ago. It’s a matter of only so many hours in a day and so many other things that can fill those hours. It’s a matter of expansion too. Visits that are frequent and always accompanied by eating would mean expansion to my waist line no doubt. It seems I didn’t factor calorie count realities into my post-work dreams. We visited Simply Biscotti on a recent Saturday morning, we had a late breakfast and a little visit with Rosa, the owner. Rosa is expanding. There will be a second location in Westboro in Ottawa soon. As Rosa put it “a bit of Little Italy will be moving into Westboro”. Westboro is a bustling community west of downtown Ottawa. There are many independent shops, outdoor stores and eateries in the area. That doesn’t seem to faze Rosa. 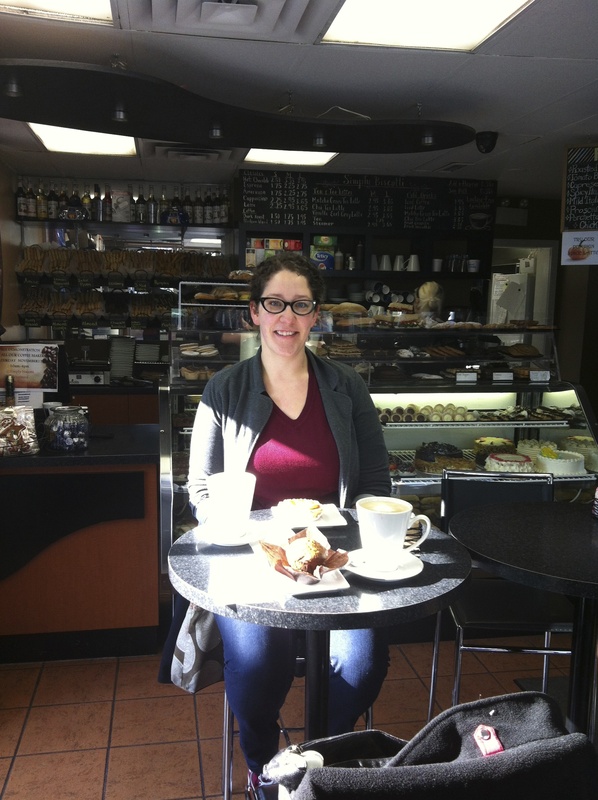 She’s settling into the midst of Starbucks locations, Bridgehead (local independent coffee/bistro) locations and several restaurants. Rosa has no fears of expansion by the looks of it-she’s ready to take it on! It’s refreshing to see and I wish her all the best. We enjoyed a late (which for me is any time longer than 30 minutes after you get up) breakfast on Saturday. I dug into my Simply Biscotti dish with gusto and then thought “Ah, should have taken a picture”. Here it is then-partially eaten. 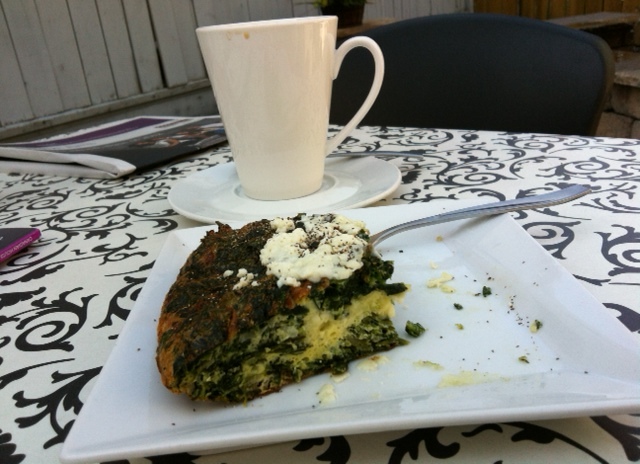 It was a spinach-feta frittata. And it quashed a good appetite. And a question for you. Have you seen/heard enough about Simply Biscotti? Should I wind up the project and the goal of eating my way through the dessert counter at Simply Biscotti? Or are you interested in what happens next…with waistline and location expansions? What do Betty’s Tea Room in York, England and Simply Biscotti, the coffee/bakery bistro in Little Italy in Ottawa, Ontario in common? Since I visited both within the past three weeks, thought I’d do a bit of an account of each the two days-mostly done through photos. 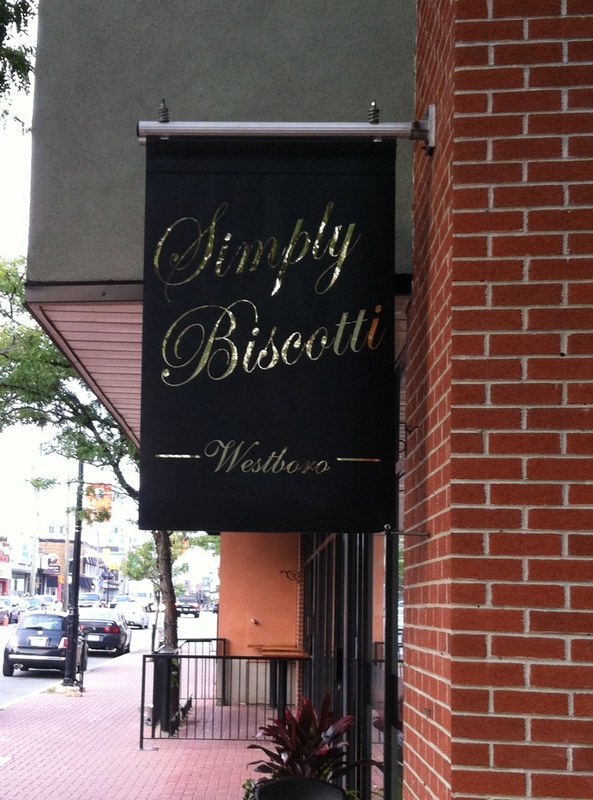 This post is the Simply Biscotti visit last week. 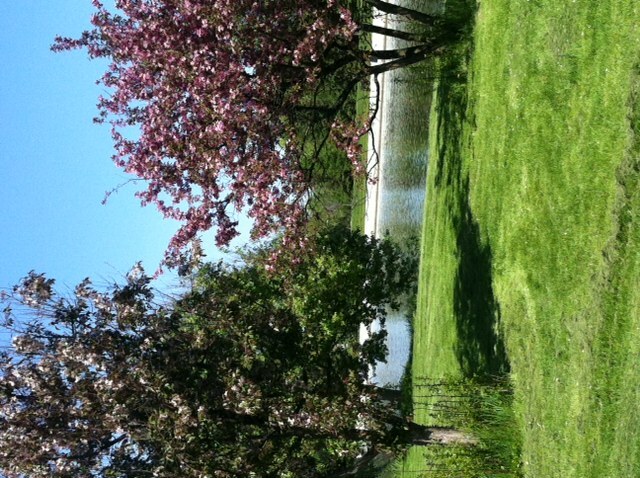 A friend and I enjoyed a lovely bike ride through the Dominion Arboretum on the Central Experimental Farm in Ottawa. 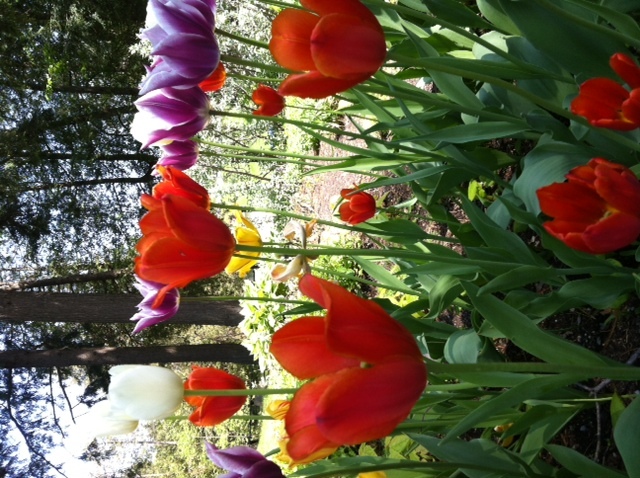 The sun was shining, people were out enjoying a stroll and the sights of Canada’s Tulip Festival. 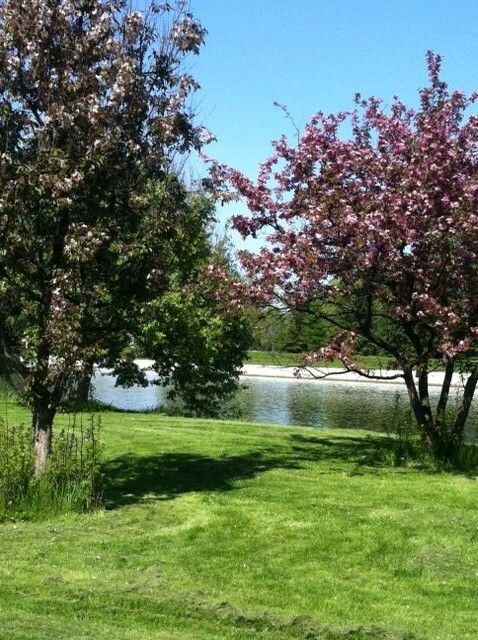 The Experimental Farm is a jewel in the midst of a city. There are five such research stations across Canada. The farm I grew up on in Saskatchewan was about 50km from the Indian Head station. Trees from that Experimental Farm stand on our now abandoned farmstead. 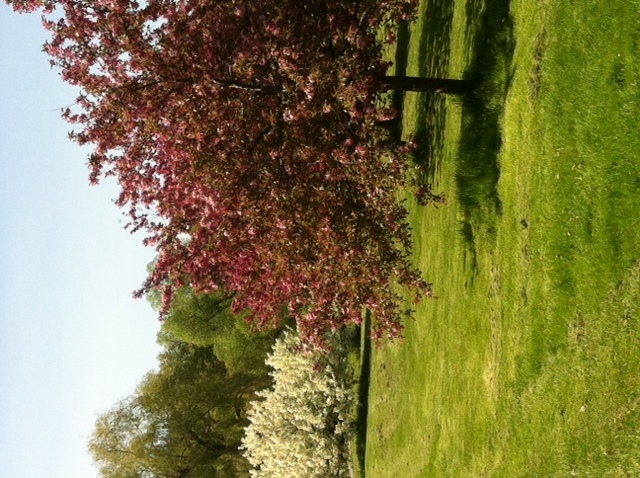 The Dominion Aboretum is in its spring glory. The collection comprises approximately 4,000 individual tree and shrub specimens from 56 families. The Tulip Festival draws 500,000 visitors annually. It is estimated that are one million tulips in bloom during the festival. 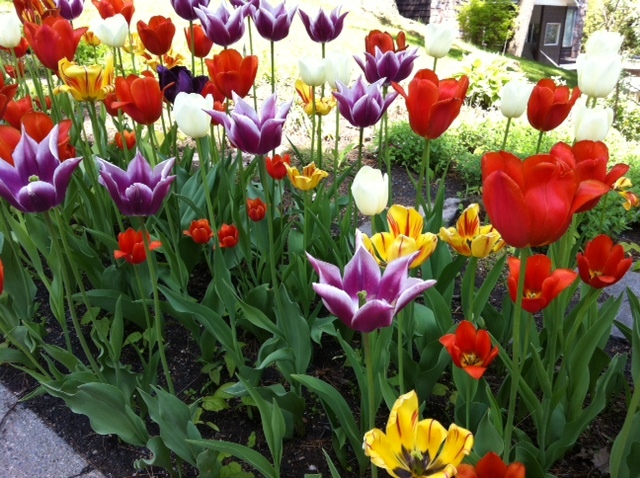 The colours and different varieties of tulips are amazing. While Simply Biscotti doesn’t carry baking in tribute of the Queen of England’s Diamond Jubilee, they do have tulip cookies in celebration of the current festival. A chocolate/black pepper and almond chocolate biscotti were ideal accompaniments to our afternoon tea and coffee.